winter semi-formal, originally uploaded by hep. 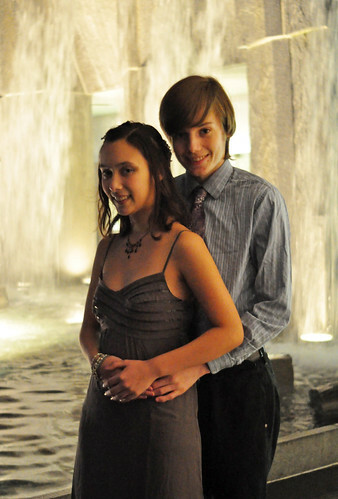 evan and his girlfriend raven went to the winter semi-formal last night. 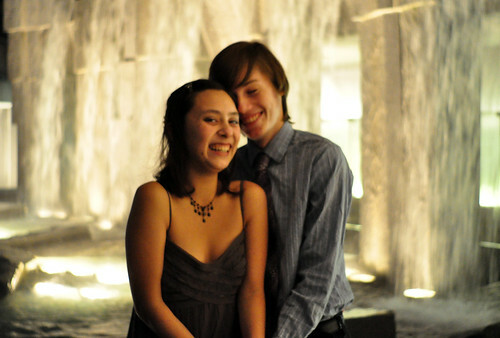 beforehand i made them go to the yerba buena gardens to pose for some shots for me. as IF he is going to get out of this w/o a photoshoot. aww they look like such a happy couple i love it! Awwwwww, this is so cute and wonderful. Wow, that's enough to turn a cynic into a romantic. 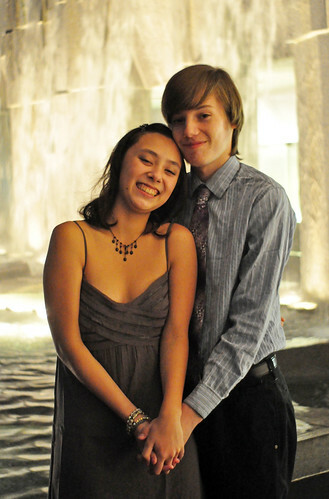 They are just the picture of young love. AWWWWWWWWWWW i like her dress too. Wow, he is no longer 8.
your kid is totes a lady killer. your little boy is growing up! *Thud* faints from cuteness. He is so handsome.